This book was absolutely stunning! I loved the style in which each illustration was created, as well as the colours used. (You can see some examples from Amazon.com of what the interior looks like here, here, and here!) I seriously had to take a moment to admire each page after reading the words, wanting to take in every little detail. 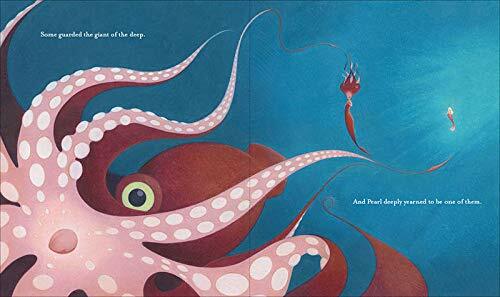 I generally enjoy visuals of underwater scenes, but the illustrations in Pearl are definitely at the top of my favourite list (and I will also be keeping an eye on this author)! 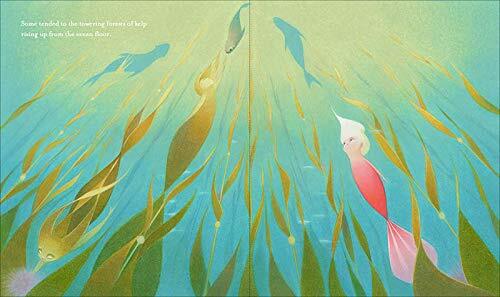 The story itself also clicked very well with the style and colouring of this picture book. 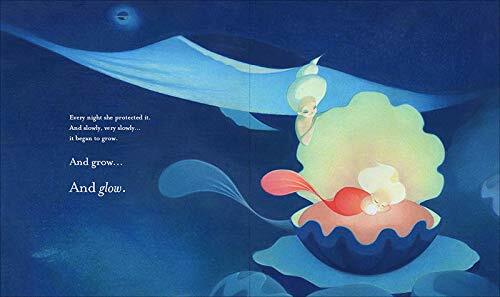 Pearl teaches readers, young and old, about the importance of the small things in life, and that even small responsibilities can be very very important. This book also spoke to me about not dismissing something too quickly because it seems unimportant. Life surprises us in a number of ways, and I think that Pearl depicts this effectively and beautifully! I recommend this book to readers of all ages! Molly Idle has been drawing ever since she could wield a pencil. But while she started scribbling before she could walk, her professional career as an artist began slightly later…It was upon her graduation from Arizona State University, with a BFA in Drawing, that Molly accepted an offer to work for DreamWorks Feature Animation Studios. After five years, a number of film credits, and an incredibly good time, she left the studio and leapt with gusto into the world of children’s book illustration! Molly now lives in Arizona with her brilliant husband, two wonderfully mischievous sons, and two snugly cats. When not making mischief with her boys or watching old Technicolor musicals, she can be found at her desk scribbling away, with a pencil in one hand and a cup of espresso in the other- creating a plethora of profoundly whimsical picture books! This looks so cute and fun!! I’m glad you enjoyed it, great review Flavia! Aw, this sounds like such a sweet story! The illustrations are adorable – what a neat style.